Mr. Schwarz wanted to share a couple pictures from the Horticulture class. 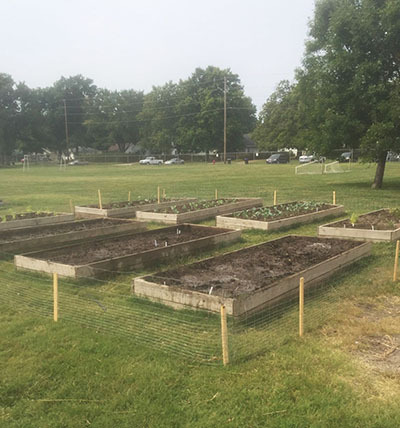 The garden beds used for the Horticulture class had to be moved this summer due to school construction. 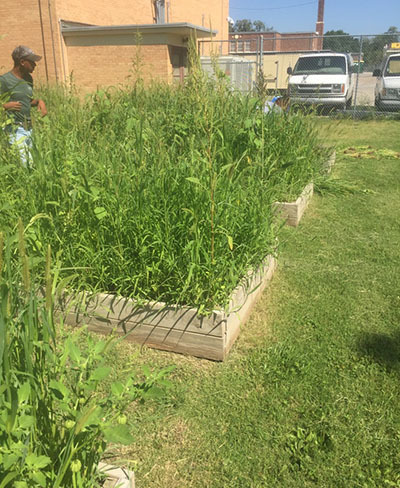 Mr. Schwarz: "Since school started, the horticulture class students have been working to get the 'weed patch' back to looking like a garden. Yesterday we finished planting everything after removing the weeds, adding a layer of manure, tilling the soil, purchasing plants and seeds and planting everything. The pictures show the before and after of what they have done. Thanks go to: Jaidyn Banks, Alyssa Enloe, Ty'Janeick Jones, Erica Knight, Jordan Krentz, Nishide Petesch-Lamb, Alden Robinson, Alex Rodriguez, Raul Ruiz, and Haley Smith. Ms. 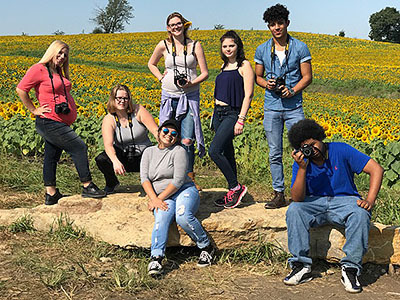 Miles took her first hour Photography class to the Lawrence Sunflower Fields on Grinter's Farm. Everyone captured some great compositions and enjoyed the weather. This class works hard and has some great photos to show for it. Even with all the clouds, Hope Street students were able to glimpse a few seconds of the total eclipse on Monday. 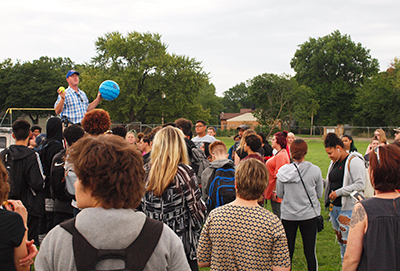 Mr. Schwarz used the opportunity to demonstrate to everyone what was actually happening scientifically and the reason for all of the excitement. 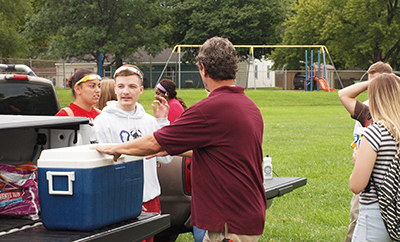 The entreprenuer class, led by Mr. Bagshaw, used the opportunity (through YE), to sell refreshments for the event and demonstrate entreprenuerial opportunities. The first day of school at Hope Street will be Monday, August 14th at 8am. Everyone at Hope Street is looking forward to a great school year! 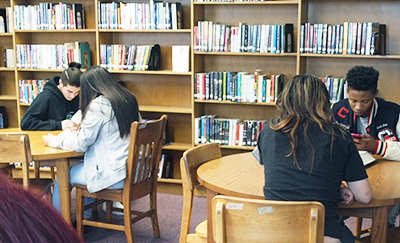 © 2012-17 Hope Street Academy, Topeka Public Schools. All rights reserved.